India is becoming a breeding ground for killer metal bands. The country’s biggest band, Kryptos, blew me away with this year’s The Coils Of Apollyon. 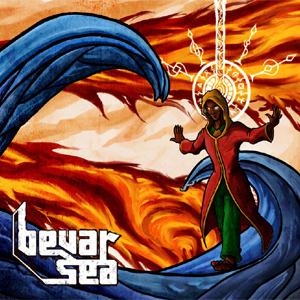 Hot on their heels is Bangalore’s Bevar Sea. After a couple of live demos, the lads now present their first full length CD. Full length, yes, because with only four songs, the album clocks in at 43 minutes. 43 minutes of top notch doom, I might add. No, not the keyboard drenched new wave that passes for doom with 15 year old girls. Think Black Sabbath, Pentagram, early Trouble. Album opener The Smiler is a statement of intent. From the Iommi stylings of the riffs, through the wailing lead guitars, it’s a slow sledgehammer to the nuts. It’s second track Abishtu though, that may help the band reach a larger audience. What a scorcher! Universal Sleeper crushes. 17 minute album closer Mono Gnome could easily outstay its welcome but is so well crafted the end comes as a surprise. The album was mixed and mastered by Billy Anderson, who has High On Fire and Sleep on his CV, among others. Unsurprisingly, the sound is excellent. Singer Ganesh Krishnaswamy has a distinctive voice. He snarls, sings and grunts his way through the tracks like a man possessed, backed by a blazing band. An amazing debut that makes me curious what other treasures India has in store for us. This entry was posted in Reviews and tagged Bevar Sea, Black Sabbath, India, kryptos, review, Tony Iommi. Bookmark the permalink. Another release in Lion Music’s Limited Edition Digipack reissue series, this review originally ran on the old Virtuosity One website in 2006. If your musical interests do not expand beyond those of super technically proficient then you may as well stop reading this review right now. If you are a rock fan then read on. 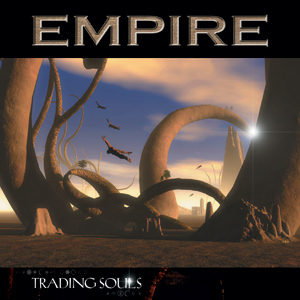 ‘Trading Souls’ is guitarist Rolf Munkes second album under the Empire name. The bands debut album featured Mark Boals on vocals on several tracks, but this there second see ex Black Sabbath vocalist Tony Martin handle all vocal responsibilities. Anders Johansson plays drums on a two tracks – hence the link to Yngwie. Empire basically specialise in classic sounding hard rock that runs the gamut of commercial to classic. The songs all have very strong melody lines and Martin’s vocals are impeccable throughout. Rolf Munkes guitar work is very much in the vein of ‘for the song’ as opposed to boosting his own personal ego and he proves himself to be a very competent player with a good knack for knocking out a memorable riff and chord progression. Don Airey (Deep Purple/ex Rainbow) handles all keyboards and he makes nice use of a variety of sounds – hammond to orchestral backing, all giving the tracks a nice atmospheric base. The rhythm section is held down by bassist Neil Murray (Whitesnake/Black Sabbath amongst many others) and drums are handled by the aforementioned Johansson and Gerald Kloos. The production of the album is very clear and powerful, the mix is impeccable. My personal favorites are the heavier darker numbers, “Pay Back Time” has a great chorus that whilst not being radio commercial is catchy enough to have you humming it back to yourself later on. The second half of the album is where the band really hit their stride with some well worked out classic rock that convey the darker element once again whilst managing to keep an eye on melody. “You” manages to combine the Swedish hard rock pound of bands like Damned Nation. “Perfect Singularity” (cool title) which allows room for Martin’s vocal to breathe to maximum effect and its quite Dio in phrasing before the pre-chorus see the mood lighten a listen which in turn changes again for the commercial chorus. “Wherever You Go” sees the album really hitting its stride and the elements of the bands sound seem to come together here, the chorus is superb and sounds very original, Munkes throws in some nice dirty guitar work and wah drenched unison bends to create a Tony Iommi (Black Sabbath) vibe and its my favourite track of the album. The only thing that lets this album down are the ballads which are a little sickly and Bon Jovi esque in places. Tony Martin even sounds like Jon Bon in places! These are easily enough skipped past, but hey it may make your girlfriend let you listen to some rock!? Overall ‘Trading Souls’ is a strong album in the classic rock mold yet with a modern edge and great production. This entry was posted in Reviews and tagged Black Sabbath, Bon Jovi, Don Airey, Empire, Hard rock, Mark Boals, Neil Murray, review, Rolf Munkes, Tony Iommi, Tony Martin, Trading Souls. Bookmark the permalink. Heaven & Hell? Yeah right… Black Sabbath it is! There’s two ways to approach this album. 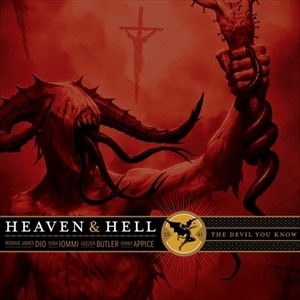 You can measure it up to Heaven & Hell (the album), in which case it’s bound to disappoint because, let’s face it, that one is pretty hard to beat. Or you can judge it on its own merit. Which is what I’ll be doing. The overall mood of the album is doomy. Think Magica or Master Of The Moon era Dio, only with actual songs and good musicians. Dehumanizer is the other album by this line up that comes closest. The sound is huge. The band produced this one themselves and did one hell of a job. Heavy yet crisp, organic but defined. Production was what let down Dehumanizer, and it’s good to see the band not making the same mistake twice. Opener Atom And Evil is slow and menacing. You would have expected a faster song to open the album, but it does a great job at setting the mood. Fear and Bible Black continue in the same vein, but for fourth track Double The Pain the band ups the tempo . It doesn’t get up to Neon Knights speed though. Pay attention to Geezer’s master class in the background! Rock And Roll Angel sees a showcase performance by Dio, coupled to a standout lead from the master of metal guitar. In The Turn Of The Screw Geezer steps to the forefront in another faster song. Eating The Cannibal continues at speed, putting to shame the accusations that this album is too slow and that all the songs are the same tempo. 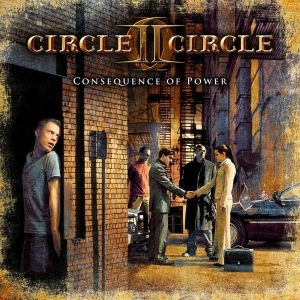 This is one of the stand out tracks, which is no mean feat on this album. Follow The Tears brings back the HEAVY in a big way. The solo is classic Iommi. Neverwhere may well be the fastest song of the album, and needless to say it’s another corker. Last song Breaking Into Heaven wraps it all up, combining all the typical Sabbath elements into the perfect closer with a final epic performance by RJD. The musicianship is beyond reproach, obviously. Vinnie Appice and Geezer Butler are still the same excellent rhythm section they were in the eighties, laying down a solid foundation and adding flourishes to keep even the slowest song interesting. Tony Iommi is in fine form, delivering crushing riff after crushing riff. His leads add the finishing touch to the songs as per usual. I’ve heard a lot of criticism of Dio’s performance on this album, and frankly I’m appalled. The little big man delivers a performance that puts singers half his age to shame. There are several lyrical topics and phrasings that we’ve heard before, but everything is delivered with so much conviction it barely registers. This is my album of the year so far, and something pretty amazing will have to pop up to take its crown. This album proves that Black Sabbath are still the undisputed leaders in the field of heavy music. No matter how they call themselves. Hot Spots : Hell, the entire album is sizzling hot!! This entry was posted in Reviews and tagged Bible Black, Black Sabbath, Dehumanizer, Geezer Butler, Heaven & Hell, Neon Knights, Tony Iommi, Vinny Appice. Bookmark the permalink.